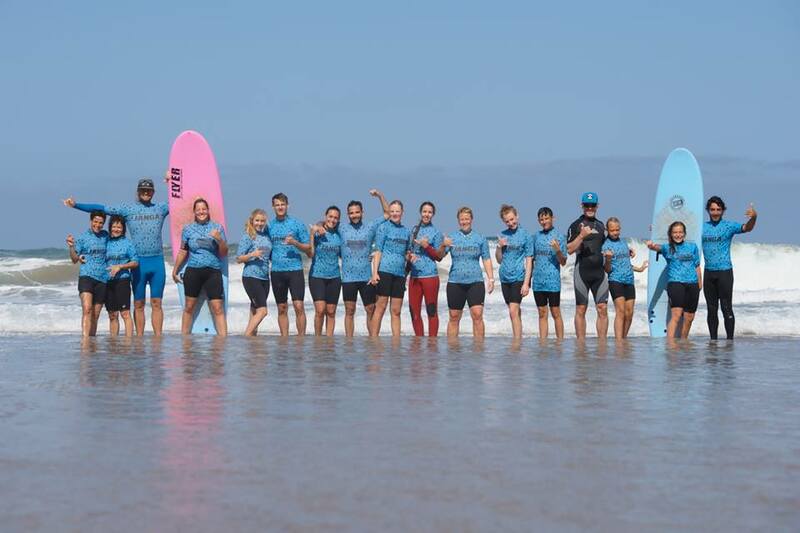 Fuerteventura guarantees surfing and learning to surf at stunning beaches all year round to provide you an unforgettable surfing holiday in perfect waves suited to all levels of surfing ability! We at Rapa Nui Surf Camp stand for passion, service and quality based on our years of surf experience. Once you’ve taken your first wave you’ll understand it’s the best feeling in the world. Our surf camp with affiliated chill out bar and surf shop is located on the narrowest spot of Fuerteventura in Costa Calma, just a stone throwaway from the longest and prettiest sandy beaches of the canary islands, nightlife and shopping area are just around the corner. You’re sharing the magic of surfing in a social atmosphere and in a great bungalow and apartment resort with other surfers! From here our surf teachers will take you to the best surf spots in the south of the island! The best surfer in the water is the one having the most fun!